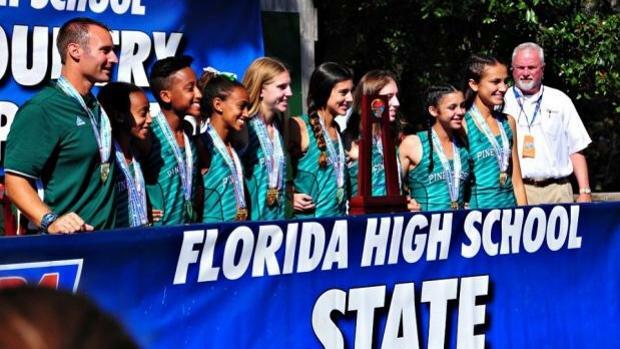 The number 1 isn't a shadow hanging over the Pine Crest girls cross country team this fall. While it denotes the exact point value that held the Panthers, ranked No. 15 in the preseason MileSplit50, back from a potential at-large berth to Nike Cross Nationals a year ago, its meaning likely holds more weight for the team in 2018. One point can be the difference between heartbreak and elation. "I think everybody realized that if they would just have passed one more person, just one more, we could have been going to Portland," said Paul Baur, whose squad finished fourth at Nike's Southeast Regional last year, tied with Blacksburg. "Blacksburg beat us by displacement and got the at-large. There wasn't much to say on that, because we all knew it and felt it." You can bet Pine Crest is doing all it can to change that outcome this season. "We wants ourselves another opportunity," Baur said. "There's no reason we can't get it." This is coming from a team that finished second overall in Florida's Class 2A championships for four straight seasons between 2012-2015 before finally breaking through in 2016. The Panthers claimed their second straight title last fall in Florida with one of their best teams in recent memory. Saying that, Pine Crest isn't a mirror copy of what it was last season, either. The team's No. 3, junior Maya Beleznay, decided to take the season off after a breakthrough sophomore campaign. And while that omission hurts the team's overall depth, Baur said he supported the decision and would welcome the upperclassmen back next season if she chooses to. As any good team must do, the Panthers will charge on. 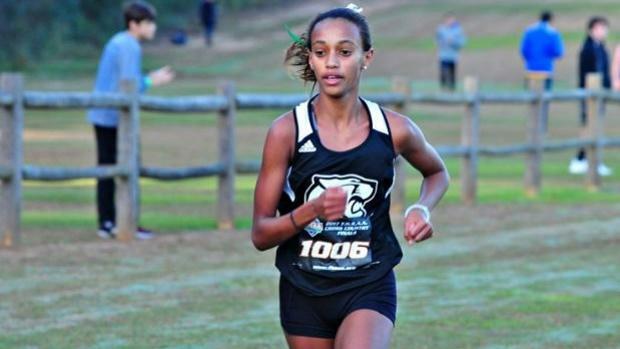 The squad returns five of seven that competed at the state championships and at NXR Southeast, including two-time Florida champ Tsion Yared, a junior who's produced a best of 17:54.50. Yared's younger sister, sophomore Mahdere, is also back--after a huge six-inch growth spurt, which has kept her out of the first few races as she works back into training--while junior Emily Faulhaber and senior Cassie Lawlor will be more important than ever this fall. "Our other girls, they've had incredible summers," Baur said. "That's the best summer we've had. Now that the girls are getting older and we're maturing, we've been able to add some things." A couple important things have happened since last year. As Baur noted, the majority of Pine Crest's girls have matured, which has allowed the team to add more responsibility to their workloads. The varsity has added at least one more run per week to their usual mileage. Florida teams usually have to combat heat and humidity. At times, it can stymie training. Tsion, for example, trained about three to four days on the road or on grass as a sophomore, then would add more training on the bicycle. This year, Baur said, the junior has felt comfortable running about four to five times a week, along with her usual bike work. "She is very focused and determined on helping her team accomplish what we want to do," Baur said. "She takes care of her things." That added mileage has already paid dividends. In the team's first race of the season, at the STU Invitational in Miami, the Panthers looked strong. "We really didn't have any expectations," said Baur, whose top two runners, Tsion Yared and Faulhaber, were through the finish in 18:01 and 19:13, respectively. "But that meet was one of the best we've had, in terms of openers, that we've ever had." The other key variable this fall will be the team's big two-week stretch in October. Unlike last year, the Panthers will travel out-of-state for the Great American XC Festival on Oct. 6, then will follow immediately with FSU's Pre-State Invitational on Oct. 13. That stretch, which will put the team on the same course it will race in November for the NXR Southeast Regional, should tell Baur all he needs to know about how ready, or formidable, his team is for the road ahead. Then the Panthers will race against teams they'll face at the Class 2A state championships. Tired legs? Championship teams push through it. "Everything we're doing, it's to get us prepared for the postseason and for states," Baur said. "If they can go there and run scared or run out of their minds, hey, we'll learn from it. They'll be able to build upon it." First things first, though. Pine Crest will be try to remain healthy and then will eye up its third straight state title on a fast, but technical Florida State University course in Tallahassee. "The girls want to defend their title again," Baur said. From there, the Pine Crest girls know there's a lot more on the line, and a nationals berth isn't out of the question. It may only take one great race.